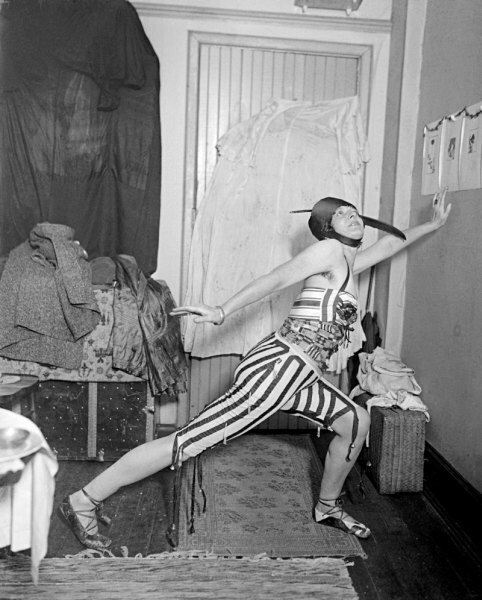 Original Caption: Baroness Von Freytag-Lorington penniless in a foreign city, her husband a prisoner of war somewhere in France, the baroness has been driven to posing as a model in the men’s class in the New York School of Fine and Applied Arts. Her husband is a lieitenant in a regiment of German Uhlans. Her father is the General Baron Lieutenant on the German General Staff.